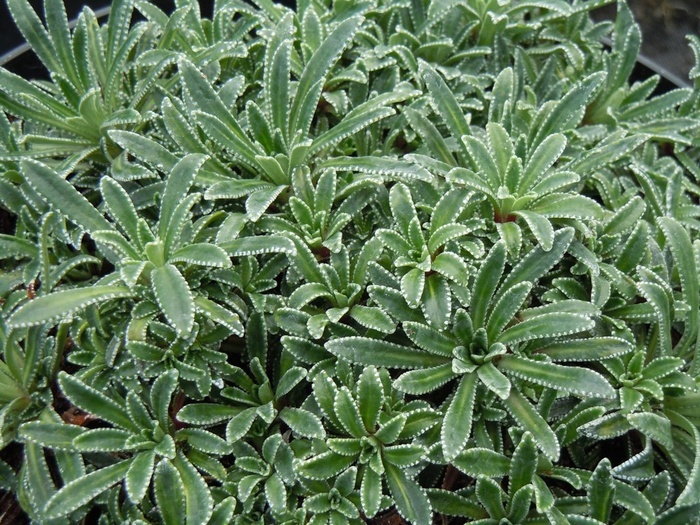 A distinctive 'encrusted' Saxifrage, so called because of the deposits of lime of the leaf edges giving the plant a silvery effect. Grown mainly for its foliage, it forms flat spreading rosettes of leaves, ht 2cm with the added bonus of sprays of white flowers in Spring on tall stems. Best grown in a sunny,well-drained limy soil. Ideal in walls, rockeries, troughs or as an edging plant.